See You Soon in Houston and Tucson! We are looking forward to discussing our high-performing fire retardant additives and ground calcium carbonate and barium sulfate products at two key trade show events later this month. 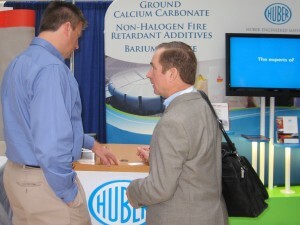 We will be in Houston at the Houston Hilton North Feb. 24-25 for the International Polyolefins Conference. We invite you to stop by booth 38 to learn more about how our products will work in your most demanding polyolefin applications. We will also be in sunny and warm Tucson Feb. 24-26 at the Loews Ventana Canyon Resort for SPE TOPCON 2014. We’ll be promoting our fire retardant additives and ground calcium carbonate products for use in a variety of thermoset applications. These two events are Huber trade show staples, as we look forward to exhibiting at them annually and meeting with you to discuss how our products will work best in your formulations. We look forward to seeing and meeting with you soon!